TORONTO--(Marketwire - March 8, 2011) - Wine can be delicious, fashionable, and intimidating. That is why Fairmont Hotels & Resorts takes pride in offering restaurants that keep experts on staff to educate, inform and help guests select from among the best wines in the world. One of this luxury hotel's most famous colleagues is Joseph Linder at The Fairmont Olympic Hotel, Seattle -- one of 103 Master Sommeliers in North America, and one of only 176 in the world. He is the ultimate wine expert, and Wednesday March 9, he will be available on Fairmont's Facebook page from 2 p.m. until 4 p.m. EST to answer any and all questions about wine. Questions can also be submitted in advance at www.facebook.com/fairmonthotels, or on Twitter (www.twitter.com/fairmonthotels). Wine novices and pros are equally welcome. Joseph Linder at The Fairmont Olympic Hotel, Seattle will be available on Fairmont's Facebook page from 2 p.m. until 4 p.m. EST (11 a.m. until 1 p.m. PST) on Wednesday, March 9 to answer questions about wine. Fairmont Hotels & Resorts boasts a storied history of fine hotel dining, of which Joseph and The Georgian restaurant are a part. This world-class brand of luxury resorts offers Michelin-starred restaurants in Sonoma and Hamburg and features celebrity chefs in Scottsdale and Florida, while also claiming some of the world's classic restaurants and bars, including The Oak Room in Boston, The American Bar in London and The Jasmine Lounge in Shanghai. Fairmont luxury hotels and resorts worldwide bring guests the best dining experience in town, with chefs committed to creating innovative cuisine and memorable meals across the globe. 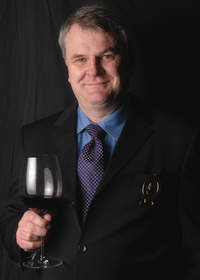 In 2008, The Court of Master Sommeliers awarded The Fairmont Olympic Hotel's Joseph Linder the internationally recognized title of Master Sommelier following the Master Sommelier Diploma Examination. Bringing more than 25 years of experience to the restaurant and wine industry, Linder is one of only four Master Sommeliers in Washington and the only one currently working for a restaurant, The Georgian. Having worked for such prestigious establishments as the Ritz in London and Chef Joel Robuchon's restaurant Les Celebritées at the Hotel Nikko in Paris, Linder brings a uniquely international savoir-faire to The Fairmont Olympic. Priding himself on offering "the classics" along with wines that offer the finest value, Linder has enhanced The Georgian wine list to make it approachable to everyone. The Master Sommelier diploma is the highest distinction a professional can attain in fine wine and beverage service. Testing is focused on the areas needed for superior beverage department management, which include Tasting, Theory, Practical and Dining Room Application, and encompasses spirits, beers, cigars as well as global wine knowledge. To join the conversation with our luxury resort hotel's newest Master Sommelier, please visit http://www.facebook.com/fairmonthotels.